Last week, I took a trip to St. Louis. I had been wanting to do something for a while. I had been planning this for some time, and it happened, and I had a great time. It was only a four day trip. Days 1 and 4 were spent on the Amtrak Lincoln Service. Introduced in 1876 by Carl Conrad & Co. of St. Louis, Missouri, Budweiser went from a local brewery to a national brewery through a combination of innovations of advertising, and distribution. Under the supervision of Eberhard Anheuser and his son in law Adolphus Busch created Budweiser, which was perfect for the hot summers of St. Louis. Using pasteurization, and refrigerated rail cars, this new brand spread like wildfire, into the international brand we all know today. While Budweiser is brewed all over the world, it will always call St. Louis home. The Budweiser brewery in St Louis is embracing their history, and status, with a biergarden, museum, and factory tour. Factory tours are disappearing, for the most part. Brewery tours have proven profitable. My day at the brewery started at the biergarden, which is marked with a 20 foot tall B from the old BUDWEISER sign located on the canning plant. The biergarden is located next to the main lobby. During the winter months, it is encapsulated in a tent, and is well heated. The day I was there, I had some Budweiser-battered chicken strips, and some of the various kinds of beer, including a chocolate stout created by the fire department in the “Research Pilot Brewery” or “RPB.” which is the R&D for the brewery. Since the brewery is actively making beer, clouds of exhaust periodically drift over the tent, and provide a nice effect. Next to the biergarden is the lobby, where you check in for your tour. There is a gift shop in the lobby. Off to one side is a display featuring the basics of brewing, their current lineup, and some memorabilia from the history of the company, as well as some paintings, including a Leroy Neiman original Clydesdale painting. One of the things that the Budweiser Brewery Experience offers is Beer School. Beer School is a 45 minute class on the basics of brewing, the composition and profiles of different beers, and beer/food pairings. It comes with samples, a free flight glass, and a token for a free beer from the biergarden. It takes place in the beer museum…but more on that later. The best tour to take is the Brewmaster Tour. It costs $35, and covers most of the areas of production in the brewery. It starts in a small area behind the lobby, and starts off at the Beechwood Aging Cellar, where the unfiltered beer is filtered through beechwood for 21 days. We got a sample of the unfiltered beer, which is on par with a small batch micro brew. The next stop is the beer museum, which is housed in the former corporate office, which itself is a former schoolhouse. Adolphus Busch II turned his third grade classroom into his office. There are paintings, busts, and various drawings, and tiles, and a punch card machine in the main hall. The Budweiser Museum covers the history of Budweiser from the 1800’s to today. The artifacts housed cover everything from the brewing process, advertising, packaging, and historical documentation of Budweiser. The first section covers the period from the birth of Budweiser to prohibition. From 1920 to 1933, the United States suffered through Prohibition. Alcohol for consumption was prohibited, and many breweries had to shut down. 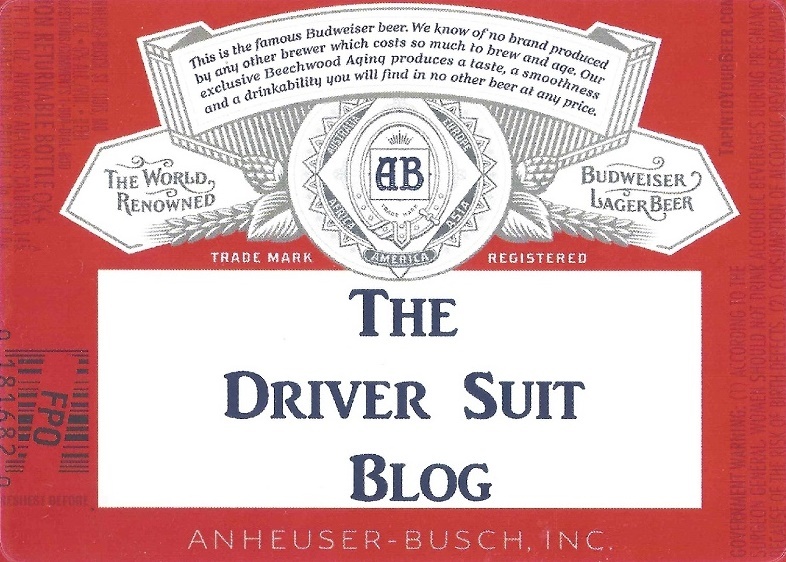 Anheiser-Busch however changed their business model, and marketed different products, including soda, and diesel engines, among other things. In 1933, prohibition was repealed. Franklin D. Roosevelt gave Budweiser a 30 day exemption, so on the night prohibition was repealed, a massive party took place, where thousands of bottles of beer were consumed. The prohibition section of the museum houses a lot of these artifacts, including Bevo Soda advertising. The museum shifts to post-Prohibition, where advertising, packaging, stock, and promotional materials are displayed. One of my favorite things on display is the 2 foot tall ® that was part of the 150 BUDWEISER sign located on the canning plant. The last part of the museum is the beermaster section, where the beer masters are paid tribute. Beermasters make sure that every single Budweiser is the same as every other Budweiser, through a combination of aroma and scent. As you walk from one building to another, you see some of the classic architecture of the various buildings, some of which have been there since the 1800’s. Red Brick is heavily used, and most of the buildings incorporate it. The Brew House, build in 1891 is the next stop. The brew house is where the beer is actually brewed. It was built in 1891. Adolphus Busch was a guy who wanted his factories to be beautiful, so there was a lot of effort put into art and architecture. This can be seen in the various sections of the brew house, which has nice architecture and nice art. The next stop is the canning plant, which started as a canning plant for Bevo the Beverage, which was created during prohibition. It was a near beer. The building was built in the early 1900’s, and the first floor is reminiscent of this design. Going up to the 7th floor, the bottling line can be seen, but when we were there it wasn’t active. Moving down to the 5th floor, we entered the canning plant, which was canning Natural Ice, and is so loud you can’t hear yourself think. A display in the visitor area shows the evolution of how the top of a can is made. The next stop is the Clydesdale stable, which houses one set of 8 Clydesdales. Budweiser owns over 170 Clydesdales making them one of the biggest purebred collections in the world. The stable dates back to the mid 1800’s. The team was introduced in 1933, after Prohibition was repealed. The team went on a tour of the United States, and became a part of advertising, and pop culture. The dalmatians, which were introduced in the 1950’s, also reside here. They were shy while we were there. The chandelier in the middle of the stable dates to the 1904 World’s Fair, and weighs over 600 pounds. The last stop on the Budweiser Brewery Tour is the finishing cellar, where we got to take a sample from the finishing tank. The Budweiser i tried had been through the whole process, and had been finished for just under 90 minutes. Afterwards, we went back to the lobby, and finished up the trip. As gifts, we got to keep the glass from the finishing tank, and the Bud Light hat. I also purchased a few things at the gift shop, including the custom labels as seen above. The next day, I went to the St. Louis Cardinals Hall of Fame and Museum, which I will discuss next week.